Outdoors basketballs rarely use soft grip technology due to the fact that the wear and tear is much harder. You have to be ready to compromise durability for that extra soft touch. 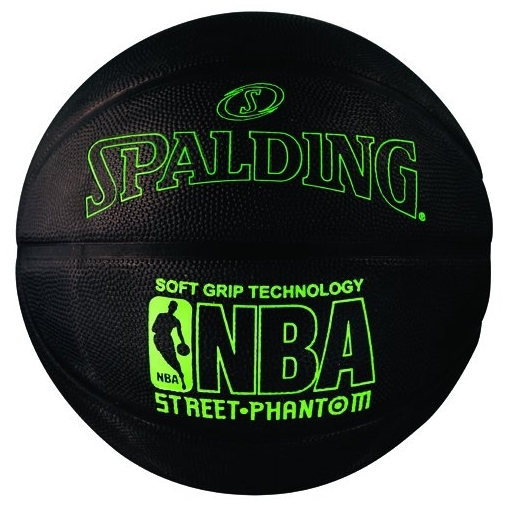 Spalding seems to have the right formula regarding this issue and their Street Phantom Outdoor basketball has become quite popular amongst the casual players. They call this model their Premium Outdoors Cover series with Durable Grip Technology and we tend to agree with that. All the tests we’ve done point to the fact that this ball is easy to play with and it features some pretty interesting specs. One of the first ones you will notice is that this is a black ball with fluorescent details for improved recognition. Let’s see if it did well on our tests. Soft touch on rubber balls is not a new thing and many other manufacturers feature it on their models. But Spalding somehow always strikes the best balance between the softness of the grip and the durability of the ball. That’s because this ball is not as soft as we expected. The pebbles are dense but they still provide good control for both dribbling and shooting. Channels are a bit wider than usual but that does not compromise the grip and it actually offers good control during the released. The rotation is steady and the overall grip is on a satisfying level. During the wet hand tests, this ball performed as you would expect it from a lower tier basketball. Since this is a rubber outdoors basketball, some bounce issues are to be expected. During our tests, this ball did not show any major issues and it satisfies all the industry standards. We did, however, had some issues and inconsistencies with bounce when the ball was inflated to a higher pressure than normal. It is to be expected for an outdoors rubber ball and it cannot really be taken as a flaw. Let’s be clear about something else. This ball will not perform well on the hardwood floor as it is not designed for it. 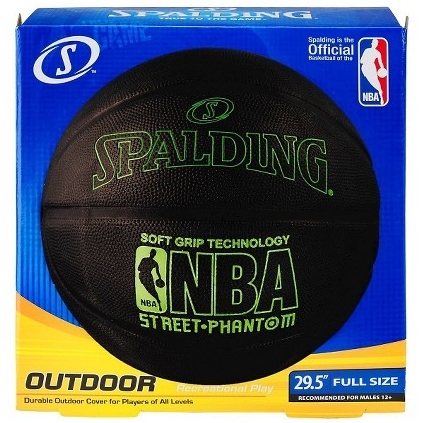 Street Phantom Outdoor is purely a street ball and a pretty decent one at that. This ball can be purchased for just under $20 and you shouldn’t expect it to perform as the one costing considerably more. We personally loved the design and the wider channels, but apart from that, this is a lower tier basketball that will get the job done, nothing more. Average user rating of 4.2 stars is mostly owed to the interesting design and the durability of the ball, and somewhat to the price and this ball ranks pretty high in our streetballs ranking. It’s pretty hard ball and it’s understandable because the primary target environment is outdoors. 5 color combinations allows to pick the one you like most and enjoy the outdoor game.